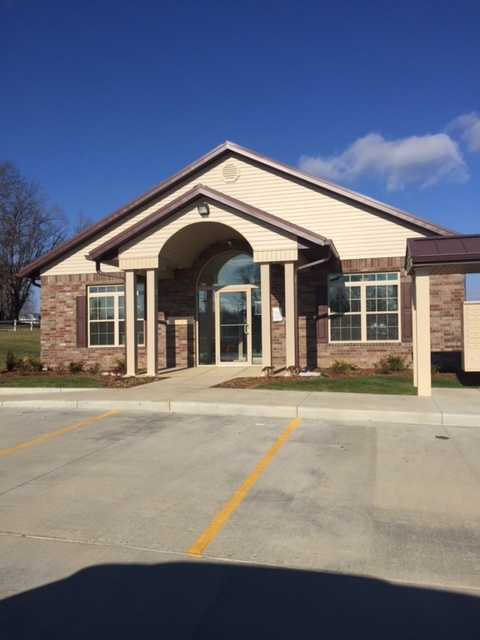 New Construction Senior Apartments in Perryville, MO | MACO Management Co., Inc. The Ribbon Cutting and Grand Opening of The Meadows of Perryville was held on Thursday, December 7 at 11:30 am. MACO would like to express our appreciation to the Missouri Housing Development Commission and Affordable Equity Partners, Inc. Without the help of these agencies, the new construction of this development would not have been possible. 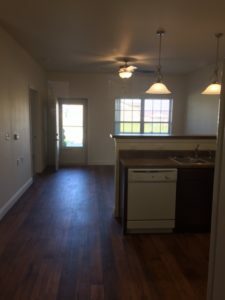 The Meadows of Perryville is a senior affordable housing community consisting of 48, one and two-bedroom apartments that was financed with the utilization of federal and state low income housing tax credits (“LIHTC”). 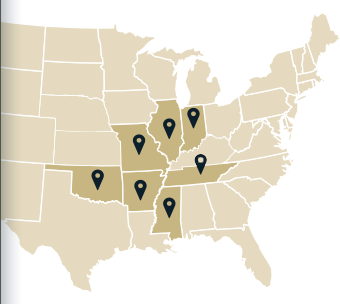 The LIHTC program is administered by the Missouri Housing Development Commission (“MHDC”). 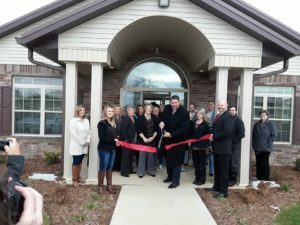 In 2010, MACO Development completed a similar affordable housing development in Perryville known as Sycamore Village. 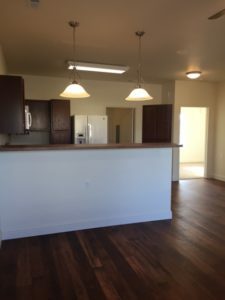 The property filled immediately and maintains a lengthy waiting list of seniors in need of quality, affordable housing. As a result of the great demand, MACO Development once again approached the City of Perryville to begin discussions of a second phase to help address the ever-growing housing demands of the community. In the fall of 2015, MACO Development submitted an application for federal and state LIHTC to MHDC. The request for funding was approved thus allowing the project to move forward. As a result of the state LIHTC, the rent structure for the complex remains affordable for the senior residents that reside there. One bedroom apartments rent from $295-$415 while two bedroom apartments range from $356-$480. These rates are very affordable for residents that receive limited sources of income. 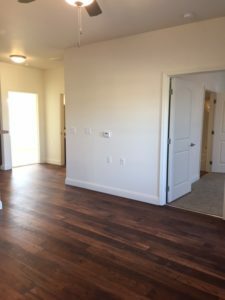 Studies have shown that without the utilization of the state low income housing tax credit, rental rates would be approximately $288 higher (on average), resulting in rental rates that would no longer be affordable for the residents. There is enormous pressure to eliminate the state low income housing tax credit. If this valuable funding source is eliminated, rural communities across the state of Missouri such as Perryville, will have no feasible way to meet the growing housing demands for low income Missourians. In addition to the housing being provided, local subcontractors were awarded construction contracts in excess of $1.2 Million. This entry was posted in Open House, Ribbon Cuttings. Bookmark the permalink.